We’ve spoken before about the rising popularity of mobile first design and this is an element of web design that we think will only become bigger and more sophisticated as technology advances and mobile browsing booms. Certain industries will notice that the vast majority of their website traffic comes from mobile devices so it makes sense for their websites to be developed with a mobile first approach. 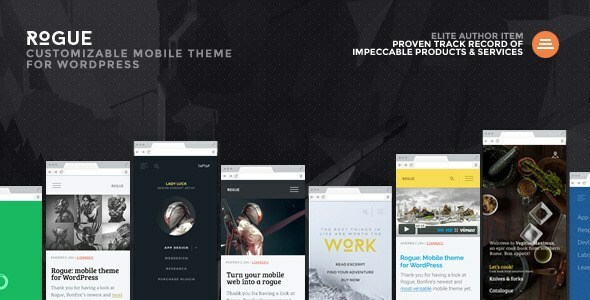 Today we’re rounding up a list of the top ten mobile first WordPress themes that you can use in your upcoming designs. 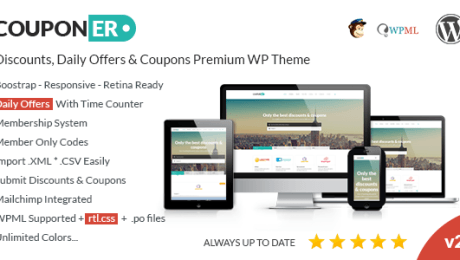 If you spot a theme that catches your eye, simply click on it to find out more and make your purchase. 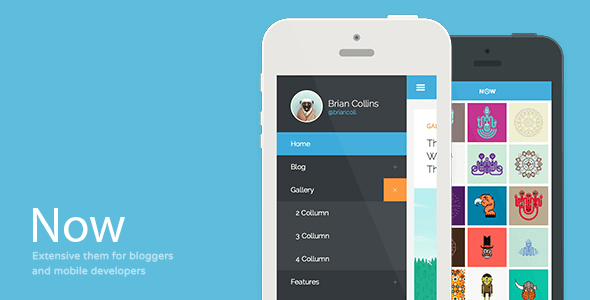 This is the third version of the ‘My Mobile Page’ WordPress mobile first theme series. This latest version comes with a custom ajax-powered admin panel, a customisable home navigation menu and twelve built-in smart editor shortcodes that will allow you to easily manage your content. Aura was created with full customisation at the forefront and the desire to provide a better mobile experience for site browsers. 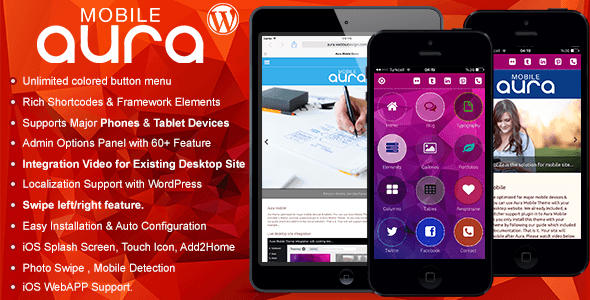 Aura comes with a built-in blog systemm, a custom portfolio, video and image galleries and Soundcloud support. 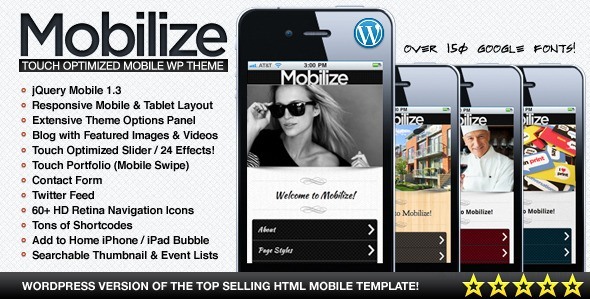 Mobilize WordPress is, as the name suggests, the WordPress version of ThemeForest’s best-selling HTML mobile template, Mobilize. 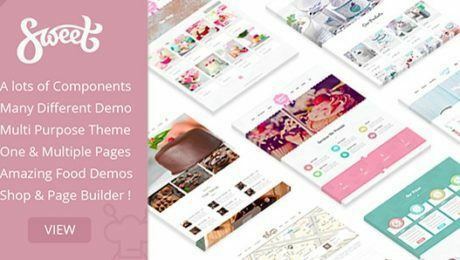 This touch-optimised mobile theme was built on jQuery Mobile and is packed with an exciting range of features, including a responsive slider (with up to 24 transitions), contact form, a blog option with featured images, and four different site colour schemes. 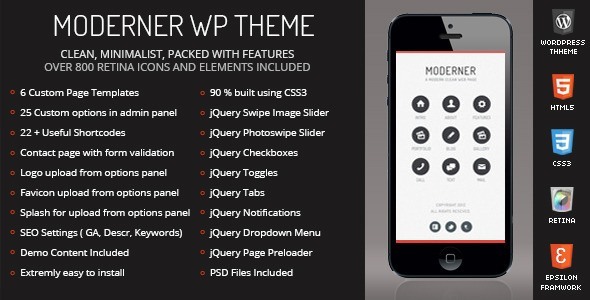 Clean, minimalist and packed with features, Moderner comes with over 800 retina icons and elements, six custom page templates, 25 custom options in the admin panel and over 22 useful shortcodes to help you bring your site to life with minimal stress. 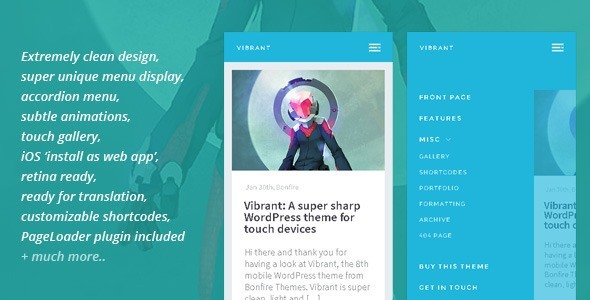 A versatile mobile-first WordPress theme that’s aimed at bloggers, Now features sixteen fully customisable shortcodes, seven different post formats (including Soundcloud support) and a fully built-in contact form. 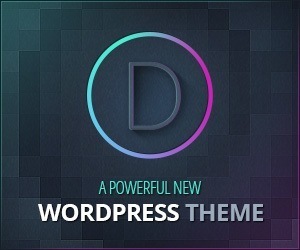 Plus, this theme is compatible with desktops themes with the use of a simple device switcher plugin. 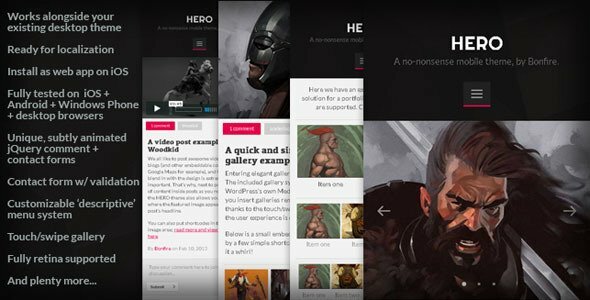 The main benefit of Hero is that it works seamlessly alongside your desktop site, making it even easier for viewers to get the best possible experience from your site, regardless of the device they’re using. There’s also a handy touch/swipe gallery, a unique menu, multiple colour schemes and numerous customisable shortcodes. 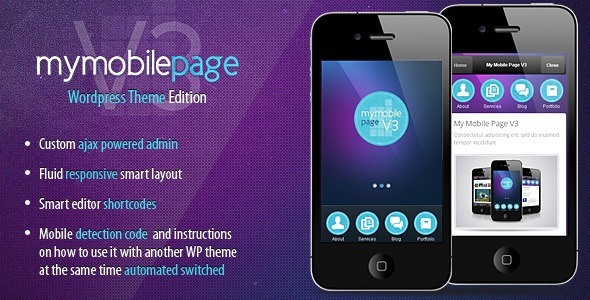 To help you create your mobile first site with ease, the development team behind Rogue have bundled in two helpful plugins – the TapTap plugin that creates customisable header and menu systems, as well as the PageLoader plugin, that creates customisable page transitions. 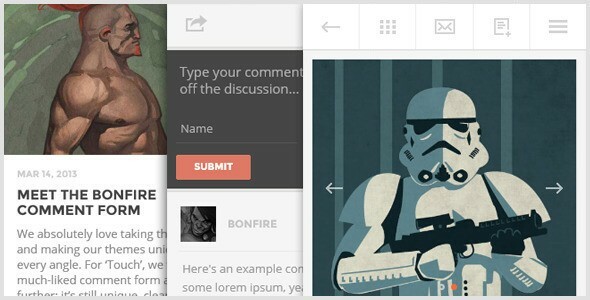 Additionally, touch-enabled galleries, a widgetised footer and integrated post share links are also included. 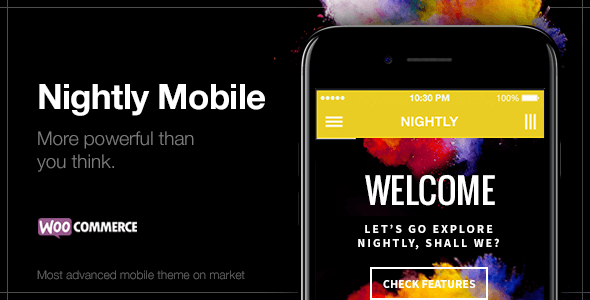 Billed as the most advanced mobile theme on ThemeForest, Nightly features multiple layout styles, Visual Composer compatibility and can work seamlessly alongside your existing desktop theme. It’s also translation ready and includes the touch-ready Owl Carousel plugin.